A lad from Oklahoma had a job to do. He didn’t care who had won last year’s World Series. On June 2, 1956, Don Kaiser faced the Brooklyn Dodgers. He seems pleased with the results almost 55 years later. 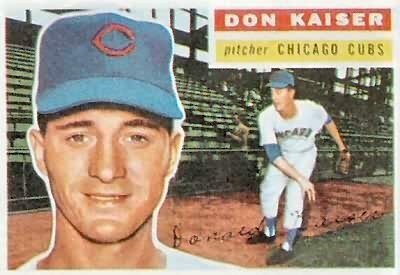 Less than one month later, a home crowd saw Kaiser shut out the Milwaukee Braves. “Well, I can tell you that life in the Majors is the Best. I just wished I could have stayed up there a lot longer than I did. I still follow the game pretty close, even though I have been out of the game since 1962. But I can always say that I got to play with and against some of the greatest players in the game. After I got out of the game I got into law enforcement and spent 30 years in it. Thanks for asking all these questions. I hope I have helped you some.